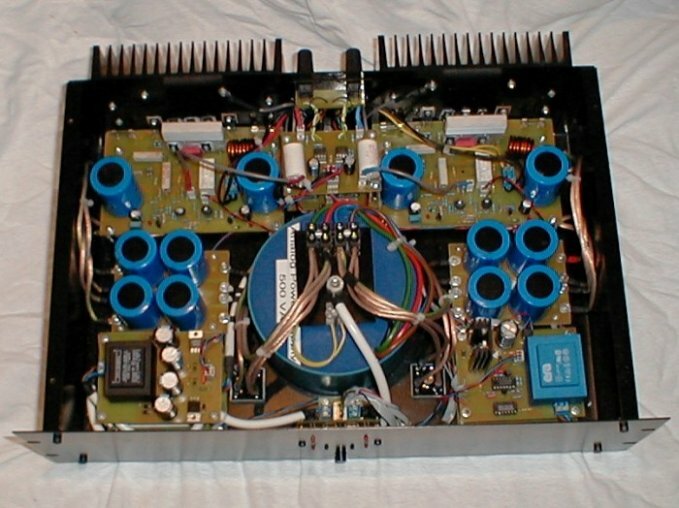 The AMP uses MOS-FET's by International Rectifier. This garanties high Output Power with only small distortion..
PMPO Supermaximumboostoutputpower 1800 W ( = 1.8kW) !!!!!! P.S. even by this Power, you get no change in rectangular Output !! The SlewRate is about 20V/µS.